Welcome to this beautifully remodeled Plaza home. A craftsman feel with all the luxuries of a modern remodel. 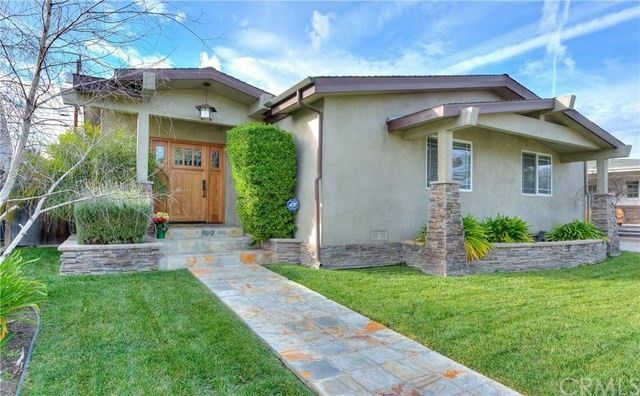 Charming stone exterior and shaker style entry door invites you into a open spacious remodeled home. Wood floors, custom doors and windows. Remodeled kitchen with newer stainless steel appliances and granite countertops and work island/eating bar with pendant lighting and bar stool seating. There is a separate dining room off the kitchen. Great room feel as family room is open and adjacent to kitchen as well as back yard patio area. Both bathrooms have been completely remodeled and master bedroom suite is enlarged and has much welcomed closet space. Master bathroom features his/hers sinks separate tub and shower facilities. Quiet interior location but close to freeway access.